I am guilty of wasting money by tossing overripe fruit instead of trying to find a way to “recycle” it. I should clarify here that I do not actually throw the food in the garbage. Rather I throw it in a pile in the back yard for compost. However, I was not feeling well with the idea of chucking usable produce. Maybe it was the thrifty side of my brain watching the all the money go to feeding the plants instead of the kids. Recycling food is nothing new. People have been doing it for generations. Brown bananas are perfect for making banana bread. Mushy pears mix well into muffins. Tomatoes easily become a pot of tomato sauce. Smoothies are hands down the best way to transpose dying fruit. But what about melons? I had a large tasteless honeydew in my refrigerator that no one wanted to eat. I could not just throw it out. So what do I do with it? 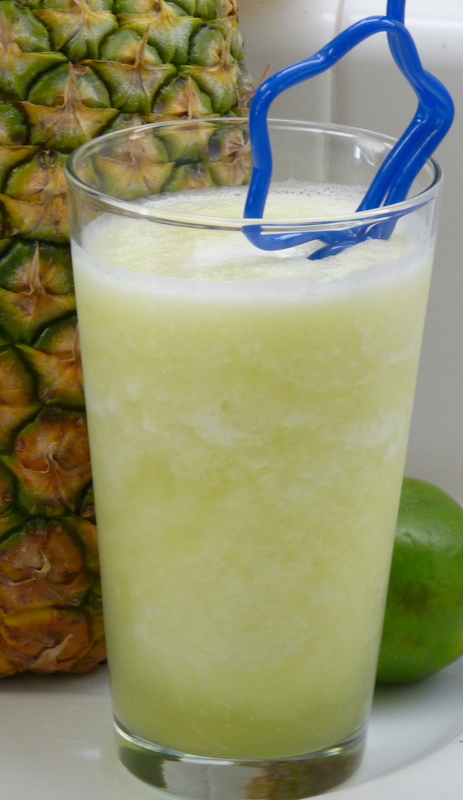 I would have never considered pureeing a melon and adding it to lemonade but it works. In fact I think I prefer Honeydew Lemonade to plain lemonade now. It makes for a harmonious blend of sweet and tart without the overly sweetness of refined sugar. I will offer one word of caution. I had this brilliant idea to blend the sparkling water with ice to make a slush. Do not do it. 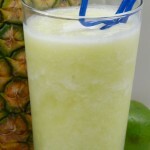 Rather I would try freezing the honeydew/syrup mixture then blend with the water. Adding the extra ice drowned out the lemonade. We were left with watered down lemonade. Combine the zest, lemon juice, and sugar in a small saucepan and bring to a boil. Simmer until the sugar dissolves, about 5 min. Strain and cool.